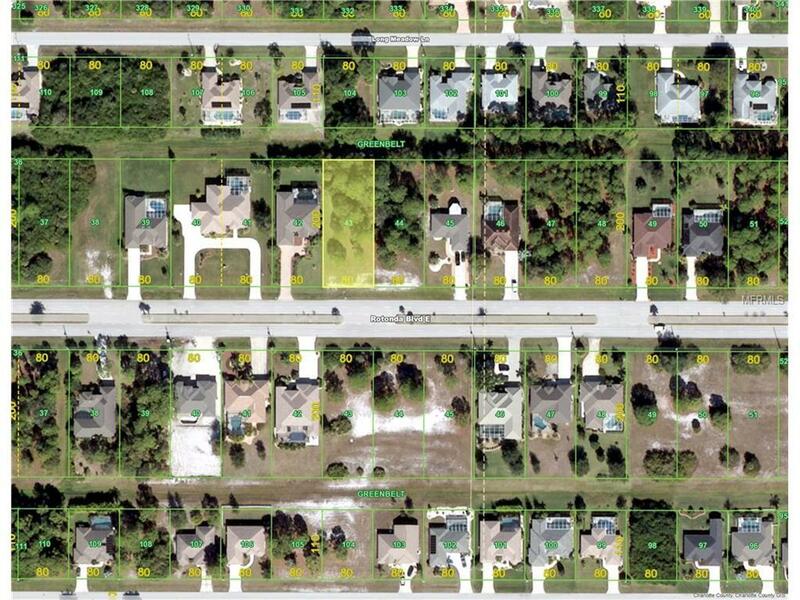 Great opportunity to purchase an oversized building lot with 16,000 sq ft. in Golf Course Community of Rotonda West, while prices in SW Florida are still low. The exceptional depth of 200 ft. makes a nice set back from the road and an oversized backyard possible. Build what you want and when you want. There is a beautifully landscaped median leading up to this property and a new pedestrian walkway along the Boulevard. 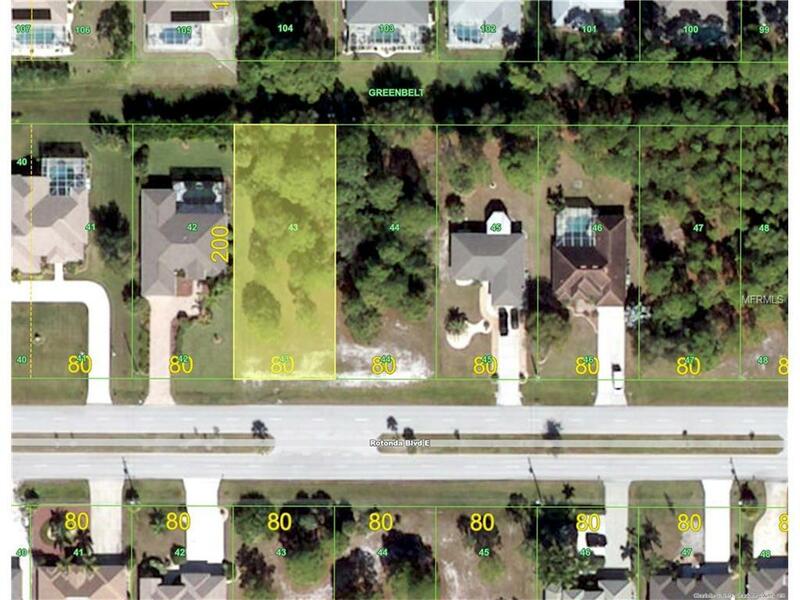 Walking distance to the community park with use of Tennis Courts, Party Cabana and Playground. Tee off at one of the 5 Rotonda golf courses with low green fees. 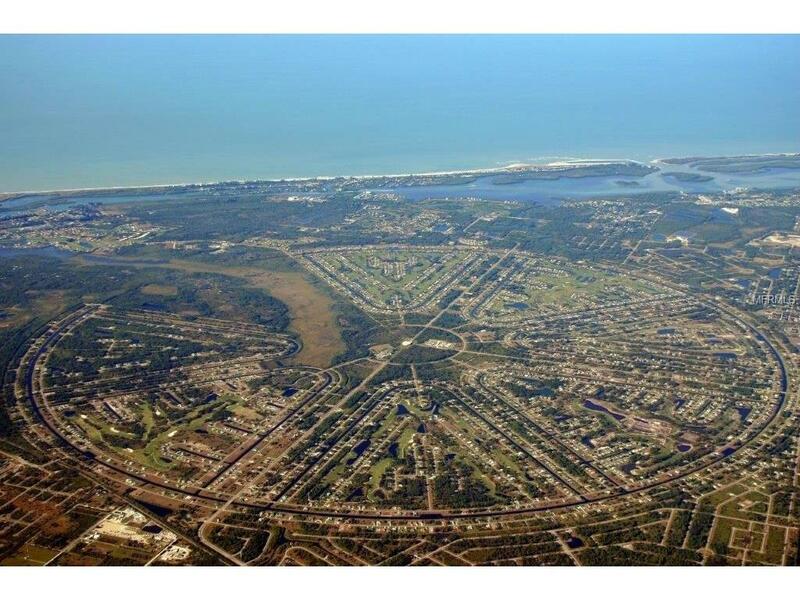 Enjoy the Florida lifestyle with beautiful beaches nearby, shopping malls, great restaurants along our waters, walking/biking trails, I-75 and international airports easily accessible.